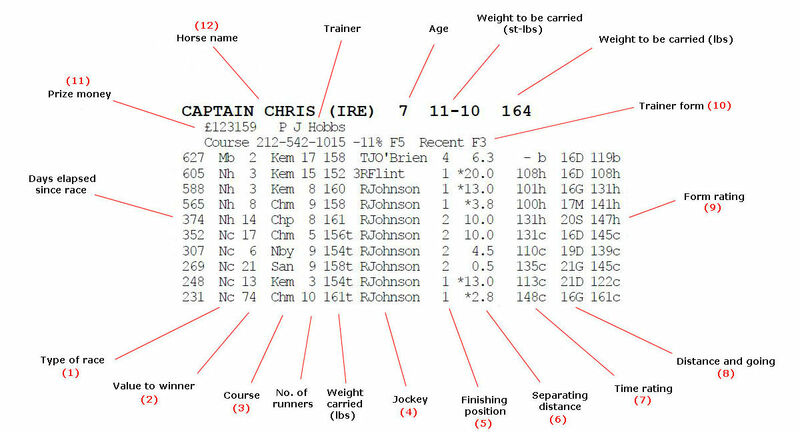 Our British form guides provide form and time ratings for the past two seasons, adjusted for the weight carried in today's race. See the sample below or click here for more detail. Our North American form guides also provide form ratings for the past two seasons, adjusted for weight. 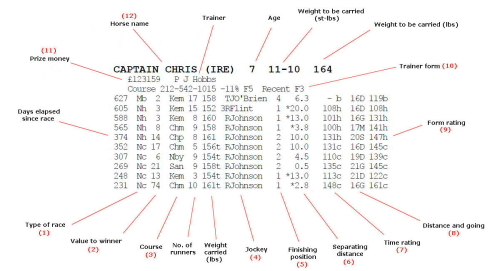 They also include a graphical ratings summary and race comments. See the samples below.